With Chelsea running away as undisputed leaders on the top of the league table, rumours of them adding another solid centre-back in their ranks might be a worrying sign for those behind them trying to catch them. 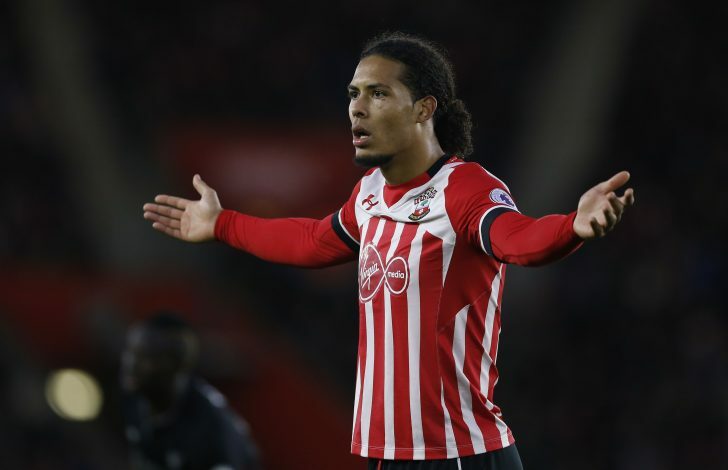 According to reports from the Express, Chelsea have launched a huge bid of £60m for Southampton centre-back Virgin van Dijk, and are eager to bring their target man to Stamford Bridge as soon as possible in the month of January. Despite being in top form and currently winning 13 games on the spin, Antonio Conte is desperate to bring Van Dijk into the squad as a concrete and stable defender among the three in his 3-4-3 formation. With Costa and Hazard firing on all cylinders upfront, Van Dijk might just be the perfect piece of the almost complete puzzle in Chelsea’s current playing XI. The defender has also been a rumoured target for Manchester United, Manchester City, and Liverpool this season, but the Stamford Bridge Blues seem the team more determined to get their man, and rule out any possibilities for their rivals to gain an advantage. Van Dijk has impressed all in the league since his move from Celtic, and has attracted positive attention from the big boys. With failing to land a number of targets in the summer, Conte will be hell bent on getting Van Djik’s signature as soon as possible, and his side’s position, form, and swagger in recent times might be a heavily influential factor in getting this deal done.